Finally! Dental crowns that aren't complicated or time-consuming. Receive a beautiful smile in just one visit. Are you tired of waiting for your dental crown in multiple visits? Wish dentistry was a little more convenient? We couldn't agree more! That's why our dentists in Centreville and Manassas, VA are committed to staying on top of the latest dental technology proven to work. This includes the CEREC machine. See how CEREC works by watching this educational video in our blog. And we're confident you will too! Experience the convenience of same-day dentistry - one of our dentists can craft your dental crown in less than two hours. This will leave you more time for your day instead of coming back for multiple appointments. Gone are the days of having to wear temporaries while waiting weeks for your permanent crown. You can get your permanent crown placed immediately, thanks to CEREC technology. CEREC uses digital technology to scan your broken tooth to recreate your new smile. No longer will you have to undergo goopy impressions to craft your new restoration. Drs. Anoop and Bobby Bawa's experience with performing outstanding dentistry enables them to customize your dental crown to match your smile beautifully. See how Bawa Dentistry can craft a crown in one visit, thanks to CEREC. Drs. 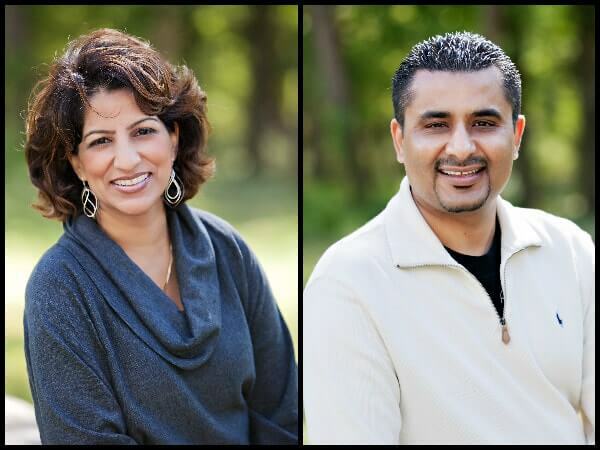 Anoop and Bobby Bawa believe in providing the best dentistry has to offer. This includes investing in modern dental technologies. If you have a broken tooth, severe dental decay, cosmetic concerns, or need root canal treatment, you may be a candidate for CEREC same-day crowns. Just how can they create your crown in just one visit? Exam & Prep: Our Northern Virginia dentists will examine and prepare your damaged tooth for digital imaging. Digital Impressions: They'll use 3D imaging cameras and software to create digital impressions to design your new crown. Design the Crown: With the digital impressions, the CEREC technology will craft the crown right before your eyes. Leave Smiling: Finally, our dentists will polish, adjust, and place your permanent restoration. You'll walk out of our office smiling. Get more details of how CEREC can create a dental crown in one visit by checking out our infographic. ‘‘I am very pleased with Bawa Dentistry and impressed with my treatment results. Most impressing is the one-day crown fabrication. The Manassas location has the capability of making your permanent crown on the premises, and you leave the office with that crown! No more wearing a temporary crown and no more waiting two weeks to get your permanent crown! Because of Bawa Dentistry, I have never felt better about my teeth. I recommend Bawa Dentistry to any and everyone! Check out our FAQs about same-day dental crowns. How long will I be in the dental chair? CEREC technology usually takes between 90 minutes to two hours to complete your dental crown. Every case is different, so time spent in the chair depends on your needs and the number of restorations you need. Are CEREC crowns more expensive than traditional crowns? Single-day crowns are similar to lab-produced dental crowns. Sometimes they could cost less, depending on your case. 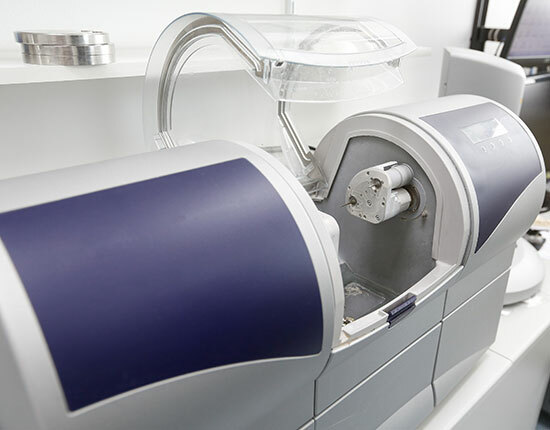 How long will my CEREC crown last? With proper hygiene care and visiting our dental office regularly, your porcelain crown could last between 10-15 years - maybe even longer! You may need a dental crown when your tooth structure and integrity are severely damaged or decayed. A sturdy crown protects your tooth's structure, restoring its function and beauty. No matter your reason for a dental crown. Dr. Anoop Bawa and Dr. Bobby Bawa will do everything possible to ensure your crown looks and feels like a natural tooth. You'll have the ability to eat your favorite foods, speak with confidence, and smile freely. We invite you to schedule a complimentary consultation with one of our dentists to see which dental treatment is right for your smile - on your terms. Does Bawa Dentistry offer other restorative dental services? Ready to Save Time with Same-Day Crowns? Schedule a complimentary consultation with Bawa Dentistry in either Centreville and Manassas, VA. We're proud to serve Northern Virginia, including Manassas, Centreville, Chantilly, Gainesville, Herndon, Reston, Clifton, Warrenton, and Bristol.